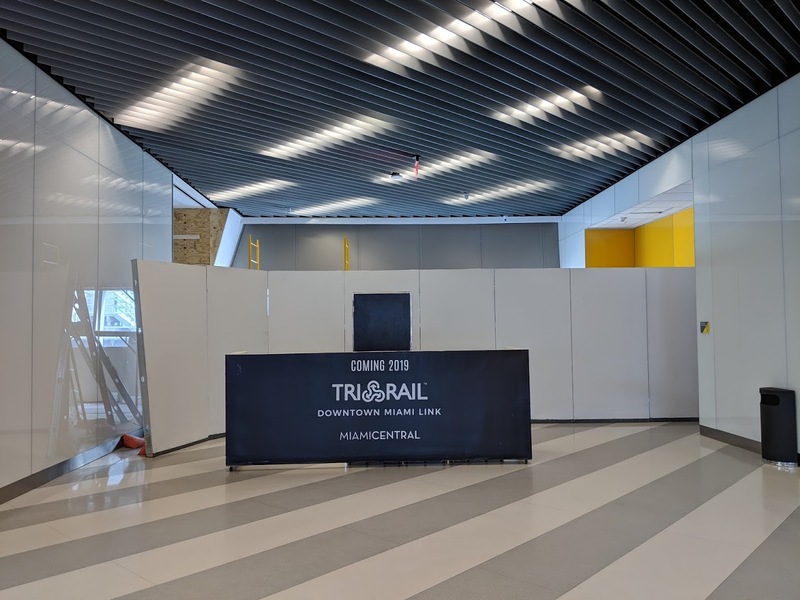 When will Tri-Rail finally begin operation into downtown Miami’s MiamiCentral? Planning for it may begin by the end of 2019, according to a new construction schedule released by Brightline to investors last week. The schedule will depend on progress of installation of a new Positive Control System, an expensive new safety system required by the federal government. The Federal Railroad Administration is overseeing installation of the PTC and must approve an alternative schedule, and the government shutdown may impact approval, Brightline wrote. The company says it is continuing with rail work “unencumbered” despite the shutdown. Local transit agencies spent $69 million to build the Tri-Rail stop at MiamiCentral. Absurd, this should be fast-tracked at every level, planning for it has been going on for over 20 years. I rode the Brightline during the grand opening which was great. However, it is too cost prohibitive to use just to go into downtown Miami from Broward. Tri-rail into MiamCentral a real game changer. Hope Brightline/Virgin doesn’t stall for their own benefit. They will lose some local customers once the Tri-Rail service starts. cost prohibited? i doubt the cost of tolls, parking, gasoline, wear and tear on vehicle and insurance add up to what a ticket cost. I ran the numbers on how much it costs me to own a car for each working day. Came out to $40 a day for an average 4 door with a 55 minute commute. Essentially a bit cheaper than the Brightline. Laughing out loud……It costs you $1,200 a month in vehicle ownership costs? You are laughing, but not thinking. The IRS and most companies recognize 50 cents per mile as the cost for a vehicle. If its a 55 mile commute, and assuming 55 MPH there and back, that is $1,200 on the nose. Don’t LOL; listen, lean, and get educated. It will be good for you, good for this forum, and good for the community. If you use a monthly transit pass to ride either a MD Transit of Broward 95 Xpress bus, it is significantly less than Brightline, but having TriRail come downtown would give another option, especially if you see the Xpress Lanes are shut down or something that would mess up the Xpress Bus. That is currently being studied by Miami-Dade County in the SMART plan. That line might be a huge waste of money. Population density in that area isn’t great. Again, government gets in the way because brainlets can’t stay off the tracks. Tri-Rail? When is the food hall opening?? ?